At Discovery Park Heated Storage in Bellingham, WA, there’s more to our business than great residential and commercial storage solutions. We are your Bellingham one stop shop for all of your packing and moving needs - we even rent U-Haul moving trucks. U-Haul is the industry leader in moving truck excellence. As an authorized U-Haul dealer, we are proud to rent these quality vehicles. You don’t have to lease a Bellingham storage unit from us to rent a moving truck. Discovery Park Heated Storage is here to help all Bellingham residents. Contact our manager about your next U-Haul rental today. Make a Plan – Know where you want to put certain items in the truck and stage them accordingly. Remember, heaviest items go in first. Don’t Skimp on Packing Supplies – Yes, that old box that’s been sitting in the garage for the past year does still function; no, it is not a good idea to put your valuables in it on moving day. 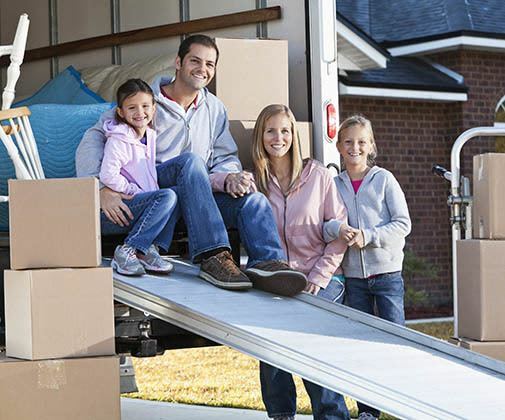 Invest in the proper packing and moving supplies to protect your belongings. Specialty boxes, bubble wrap and packaging tape are your friends - use them. Label Boxes – Be sure to label your boxes on all sides. That way, if a box gets loaded in backwards or upside down, you still know the contents.